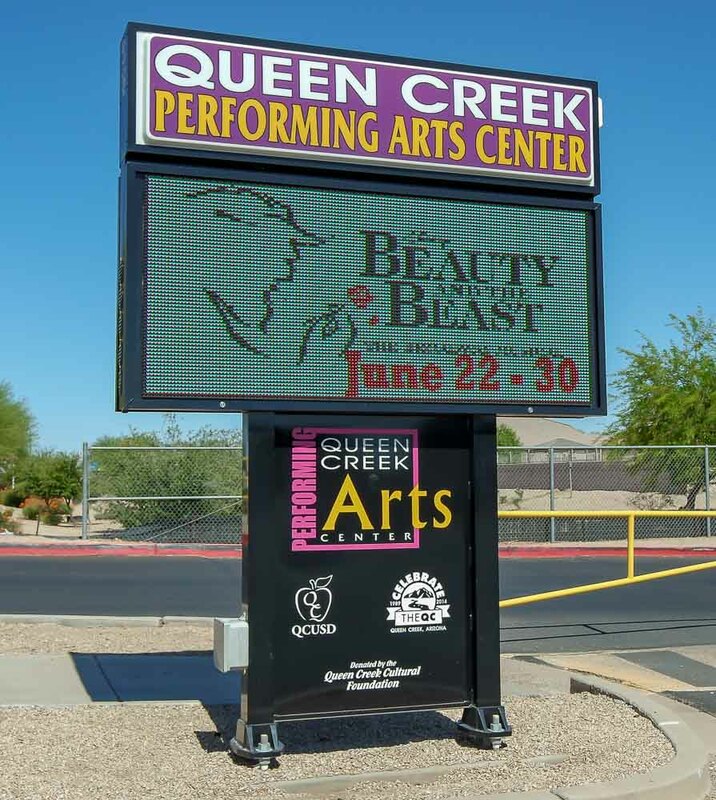 Located at 22149 E Ocotillo Rd, Queen Creek Performing Arts Center offers patrons to partake in a variety of options of performing arts, such as theater, music, dance, and lectures, to name a few. The 777 capacity theater space is fully equipped to handle a multitude of shows and events, ranging from community theater to local church services. The Art Center also provides camps and workshops for budding young actors to learn new techniques and skills. Shows and Events are broken down into several different series including Centerstage Series, Family Theatre Series, Free Art Series and Special Events. Previous notable shows and events held, country artist; Scotty McCreery, the beloved musical; Sister Act, as well as, Elvis, The Gospel Years featuring Victor Trevino Jr. as Elvis. Concerts and recitals are hosted at QCPAC as well, such as local dance company recitals and Queen Creek High School Drama. Queen Creek Performing Art Center is sponsored locally by Schnepf Farms, Sossaman Farms, Town of Queen Creek, Queen Creek Unified School District No. 95, as well as the Arizona Commission on the Arts. The facility and equipment can be rented for events, meetings, video screenings, etc. Rental rates can be found on their website. If you’re looking to share your time and meet people who share similar interests in the performing art, the opportunity to volunteer at the center may be a good fit. Their volunteer group “In the Wings” has openings for ushers, administrative assisting and staff performances. I recommend checking out Queen Creek Performing Arts Center when the mood strikes to enjoy a live show!